Almost all Slovenian beekeepers, Sandra . 98% . But they do not write in this forum. It's tradition hive which must be placed in 'hivehouse' but I don't know if this hive would work well in your region. I'll be starting with Slovenian AZ hives this spring. I've located others who have them as well. If you got them, I'd love to compare notes! I have loked for forum on natural beekeping specialy on oliver perone tehnology, vhen i found this topic. I am from Slowenia, and i begin to learn bekeping thise year from old and exspirienced bekeper. He uses AŽ bee hives of difrent types. Bee whitch is used is kranjska sivka or apis mellifera Carnica whitch is suported by goverment as autoktone bee in our region. Beekepers have some italians bee in their colony becose of mixsing of beehives. Italian have yelov strips on backsides. Carnica is more pisful, produces les propolis, can exspand population in bee family exstremly rapidly and winter bee can live 140 days. Every region has his own conditions. Here in Slowenia we use mostly carnica, italian bees realy in low% and ukraine bees as quiet secret here and there as one beehive in large bekeping operations. North parth of Slowenia is cold, sub zero cold, (-15), here we use more thermo isolation in case of LR hives or foam and similar material whitch we put in beehive to isolate the bees during winter.here is prefered 9 comb AŽ type of beehive. Pasture for bees isnt so big and large. This is reason why slowenian beekepers dont like LR beehives. They are to big for our pasture conditions. Some bekepers used both, but finaly they return back to AŽ beehive.Older bekepers have problems with lifting LR levels.in general this is never ending argumend AŽ versus LR. Women and children loves AŽ becose of esier manipulation and les weight involved. There is some bekepers whitch have LR and they master realy good beekeping with them. So if you have eny questions, ask them, if i cant answer them, then i will ask my mentor. Hi Cebelar and welcome to the forum. Many thanks for sharing your experience and knowledge of beekeeping in Slovenia. It is really interesting to read of different beekeeping practices around the world and good to hear that your government is promoting your native carnica bees. The AZ hive system sounds interesting, especially when you mention that your forage conditions are best suited to smaller hive volume.... I do wonder therefore, that you have an interest in Oscar Perone's hive as that has a huge volume, although the idea I believe, is to have more than one queen coexist. I think the down side to the AZ is the need to construct a bee house to accommodate them, which is probably not cost effective for the average hobby beekeeper with a couple of colonies, especially if the climate doesn't require it, like here in the UK. I like the idea of not having to lift heavy supers though, especially as I get older. I really appreciate the effort you must have made to post in a language that is not native to you and look forward to hearing more about your beekeeping journey and updates if you do decide to try a Perone hive. I have interest in Oliver Perone hive becose i think it is the best bio hive. My native toung is Slowenian. I understand German and Englisch language. As writing goes, i can write Englisch with mistakes, but German language i cant write. I must go to job, so i am short. Look, bee house is not a must. You have big and smal houses. I will find you some pictures ok.
Good day to you, to all. Beehouse in Slowenia is ment to be place where you have all the tools and place to manipulate with beehives, to desinfect combs, storage combs, and put hones from combs to storage jars and so on. I get inforamtion that Beehouse is about 5000 evros of cost to build. I think this is whithout beehives and land where beehouse is build. Beehouse purpes in the winter is isolation of beehives from harsch winter contidions. Temepratures are higher as in behive on the open. Generaly are two main types of beekeping. Stacionary with beehouses. You need good are where is a lot of plants to suport honey productions. Driving beehives around the country. Here are cost of transport higer, registration of transport and kill rate of bees per transport. In transport you cna loose a lot of bees whitch are older bees honey loking bees. Becose of this people use one transport vericle with specialy design trailor. one guy build trailor himspef. There are some writings of transproting beehives on railway. This was done 20 yers ago to the places in former jugoslavija. There are wast felds for production of food. Some rekord indicaded that tehre was production of honey2 ties higehr as in slowenia. Difrent Beehouses. Some big some smal, old and new. Problem is if you have beehives in smal beehouse you need to have tools somwere else. Number 4 is relas big old one:). This forum is realy dead. How meny people wisit this forum. I'm just trying to purchase English textbook about AZ hivekeeping written by Professor Janko Bozic in 2015. Thanks for the great pics! Hi Cebelar - do not be discouraged! Thanks for the wonderful photos, I don't know about everyone else, but I am up to my ears coping with swarms and re-hiving, plus summer holidays with family commitments! So I haven't been on the forum for a while. You will see more comments when it is raining and we are not all out enjoying the sun. Has been really hot weather here in England recently. 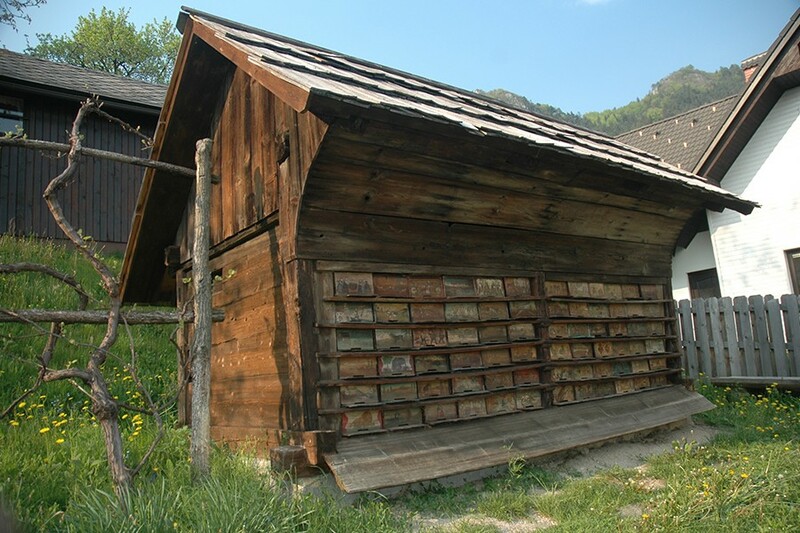 Oscar Perone methods are used in Slovenia, but with Warre style hives. Original Perone hives are just too big. Main focus is on getting smaller cells that are supposed to supress varroa. Some beekeepers are using erb hives. They say that erb suits better local conditions than THB. Mainly because of the isolation. Due to popularity of AŽ hives, some are ptoposing to use Gerstrunfg frame instead of Dadant for erb hive in Slovenia. i ahve coem to see if somone make some posts. Ok, yes problem is in good condition for pasture for bees. If you wont to have them you must transport bees around, but this is disturging for bees. I am in progres of building japanese beehive. And i am thinking to build perone beehive. I have found spanisch book about oliver perone. So, dos enybody have englisch transaltion. As i see bekeping is soo. Industry beceping is not good for bees. This is subject to some troubles. bees wax holes must be small,.. small bees have more clening potencial so waroe is lees of a problem. small bees run the varoa mites for 1 or 2 days,. so they cant evolve,.. I woud love to build beehive with no troubles for bees and no big work on it. The queen must walk on all the hive not only in lower part, becose of feromones. I wouud build hibrit beehive betwen, perone behive, kirar behive with posobility and use of isolation priciples for bee hive. Worm hive can nurture bees in winter better so they have good numbers and can fly in the spring sooner. I woud love to lern disaign behive and test it with someone. So crazybean we can conect if you wisch. I need palce to put the bees, in this time i have found forest on two locations, but i need permison for the owner of the land. japan hives will be constructed soon. But i must go to some bekepers in northern part of Slowenia. There is one special. What are difrences and praksis of ware behives in Slowenia. I have found some intrente sites, one of them teches bekeping on more natural way whitch is working over 20 yers so it is tested priciple. I will come on this forum more offen. So i hope we wiil write some more. Problem with AZ hives are taht they are to smal, gusterbergov beehive solves this lac of rook problem. Problem is taht bekepers wont to promote own beehives, so we are ytuck. I wud use beehive whitch is working for bees. and taht there is litle bekeping with them. go bio and problems go away, teroeticaly, praksis will show,..
frequency is a bich,... what woud be a frequency of a varoa mite whitch woud destroy it. For exsample, one speker play frequrncy, and destroys waroa mites with resoannate frequency.